Breathing in fumes from glue-soaked rags and glue-filled plastic bags is a normal activity for a large number of Dhaka's slum kids or street children. The narrow, squalid and soggy alleys of Hazaribagh slum in Dhaka offer few attractions. But when Sulaiman and his mother first came to the second-largest slum of Bangladesh’s capital three years ago, he felt like a butterfly that had just come out of its cocoon. At Bashuria, Sulaiman’s remote village in Gaibandha district in the northern part of Bangladesh, all he used to hear were the monotonous chirping of crickets and the growling of his own stomach. At Hazaribagh slum, he found famous songs of popular cinemas blasting from stereos at the corner shops almost all day. The offerings of the capital’s slum with its loud noises, crush of people, coloured TV and discolored bicycles captivated the four-year-old country boy. Sulaiman’s mother took up the job of a housemaid – a common occupation for rural women who come to the capital in search of better fortune after their husbands abandon them. Deprived of his mother’s supervision during the day, Sulaiman played in the streets with the other slum kids. Pretty soon, he was winding through the alleyways and scavenging through the garbage piled up behind shops and factories in search of something – anything – to sell. More than two and a half years have passed and Sulaiman still works as a rag-picker. When we first met near Hazaribagh slum a few days ago, he had just finished his day’s job of scavenging and selling his findings to the scrap dealer. He was sitting on the corner of an alley with his sack by his side. Tucked under the eight-year-old’s dirty, tattered t-shirt was a half-empty yellow glue tin. He took out a dirty plastic bag from the sack, poured the glue inside and started inhaling from it. Breathing in fumes from glue-soaked rags and glue-filled plastic bags is a normal activity for a large number of Dhaka’s slum kids or street children like Sulaiman. While there is no data on the number of drug-addicted street children in Dhaka, a World Bank funded study indicated that a staggering number of Dhaka’s 249,000 street children are addicted to drugs; most to glue-sniffing, popularly known as Dandy. Dandy, used by shoe repairers, is an adhesive glue which contains toluene, a sweet smelling and intoxicating hydrocarbon. The solvent dissolves the membrane of brain cells and causes hallucinations as well as dampens hunger pangs. The glue makes these children sleep easier and forget the realities of their lives. The difference between Dandy and other drugs is that Dandy is not expensive and is not subject to fluctuations in supply in the same way as other drugs. It is both legal and cheap – making it a very convenient substance to abuse. The lack of information and research on glue sniffing has contributed to the low profile of this serious issue. As a result, addicted children can inhale Dandy openly because the community and the police have barely taken any measures to prevent its use and abuse. “I can’t remember when I first sniffed glue. Probably it was within a month after I started rag-picking,” said Sulaiman. When his mother found out, she tried to stop him. But the lure of glue sniffing was so addictive that Sulaiman couldn’t stay away. His mother remarried and his step-father started beating him for his glue-sniffing habits. Rubel, one of Sulaiman’s rag-picker friends, has a similar story to tell. In the absence of supervision, the 11-year-old too finds respite in inhaling the poisonous fumes. “The fumes burn the eyes and leave the body dry. It kills my appetite. But after being kicked and treated like a dog, it gives you peace,” he said. After media reports between 2007 and 2010 on the glue-sniffing phenomenon came out, policymakers took some initiatives. The government established two rehabilitation centres for drug-addicted street children near Hazaribagh and Karail – two of the largest slums of Dhaka. Both the centres have been closed for the last four years. Abul Hossain, deputy secretary of the Ministry of Women and Children Affairs, told The Wire that the centres were established under a three-year project from 2012-14. After three years, the donor agencies didn’t renew the funding as the performance of those government-run rehabilitation centres was very poor, as they had failed to rehabilitate significant numbers of children. Hossain believes that the decision to establish the centres near the slums was wrong. “The centres became a drug den and very soon, the operations there went out of control,” he said. He said that the ministry now has no specific projects or programmes for drug-addicted street children. It opened two new centres for street children under its Pathashishu Punarbashan Kendra in Kamalapur and in Karwanbazaar in Dhaka, which are being funded by the government. “Here, all sorts of street children are being admitted. We, however, try to keep the admission of drug-addicted street children as low as possible because our programme doesn’t have enough dedicated logistic support to treat them properly,” said Hossain. Meanwhile, the law enforcement authorities’ have turned a blind eye to Dandy addiction. Talking to The Wire, Mohammad Jamal Uddin Ahmed, director general of the department of narcotics control (DNC) of Bangladesh, said Dandy was a different type of drug, thus controlling its abuse was a bit difficult. “Anyone can buy Dandy from a simple shop selling adhesives. On multiple occasions we tried to control its sales, but it seems quite impossible,” he said. Ahmed said that since Dandy users were mostly under-age street children, it was difficult to get too harsh. “It’s a complicated drug problem involving children. Poverty and lack of family love and bonding force these children into drug abuse. We all need to come forward to prevent this,” he said. Meanwhile, a few non-governmental organisations (NGO) are working for the rehabilitation of these Dandy-addicted street children. NGOs like Chinnomul Shishu-Kishor Sangstha and Manusher Jonno work with street children, but none of these organisations specifically focus on this particular segment. Only the Dhaka Ahsania Missio (DAM), an NGO run by the trustee board of the former Nabab family of Dhaka, has specific programmes dedicated for drug-addicted street children. Kazi Ali Reza, director, Communication and Public Relations of DAM, said they had been running a comprehensive programme for rehabilitating drug-addicted street children and teens since 2006. The programme is being run for a five-year cycle with the mission’s own funding and funding from donor agencies. It has had better success than the government facilities. DAM’s first project from 2006-10 rehabilitated around 1,100 drug-addicted children. In the second project (2011-15), the respective number rose by around 300 to 1,400. The current project started in the beginning of 2016. “To select the children and teens for our rehabilitation programme, we conduct a baseline survey in eight pocket areas in the capital every three months. We select children and teens with seven kinds of drug addictions. Dandy-addicted cases comprise around 60% of the whole lot,” said Reza. DAM’s rehabilitation facility offers drop-in centres and rehabilitation villages. There are two drop-in centres – one located in Paikpara in the capital that caters to children aged between two and eight years, the other located in Mohammadpur of Dhaka serving the 8-17 age group. The Mohammadpur drop-in centre offers free food, counselling, healthcare services and morning schools. Mohammad Asaduzzaman, centre manager, told The Wire that 47 children and teens were taking regular counselling and medicine from the centre to fight Dandy addiction. “It’s like a regular school. All the children and teens have to come here by 9 am and leave at 4 pm. They take a bath, eat breakfast and attend our morning school. After that we provide them the necessary counselling as per their age group, need, and level of addiction. We also hold lunch and post-lunch discussion session,” said Asaduzzaman. There are housemothers who play the role of mother to the orphans. “We want to make them feel that they are not alone. They have a family here,” he said. The rehabilitation villages outside of Dhaka provide long-term residential comprehensive rehabilitation programmes. 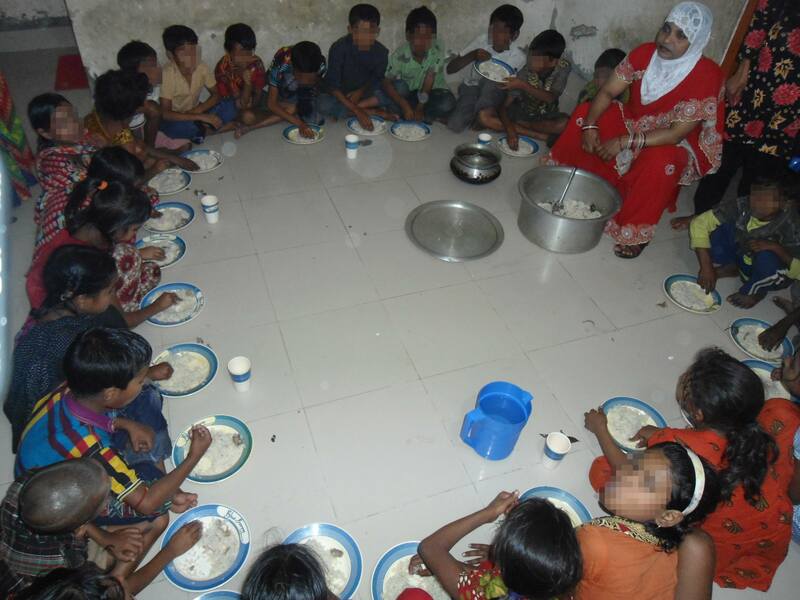 One that serves the age group of two to eight is in Gazipur (a picturesque district with forest near Dhaka) and the others in Panchagarh (one of the northernmost district of the country) has 2,014 children and teens. In the worst case scenario, DAM sends the addicted teens or children to the government rehabilitation programme in Central Drug Addiction Treatment Centre in Mohakhali. “We have a memorandum of understanding with them under which they take our recommended teens and children with subsidised fees. We bear the cost of the programme,” Asaduzzaman said. 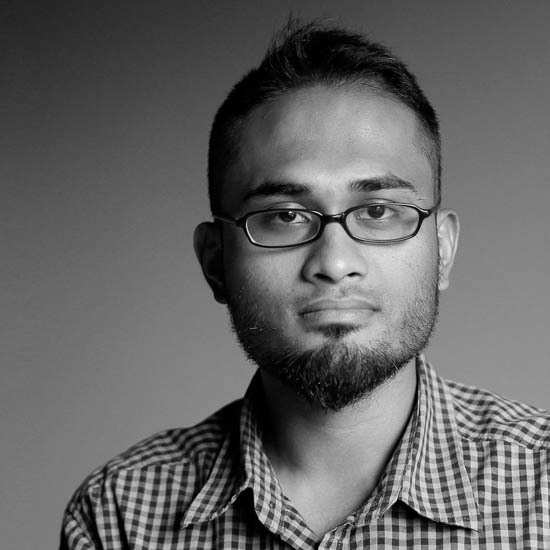 Faisal Mahmud is a journalist from Bangladesh.